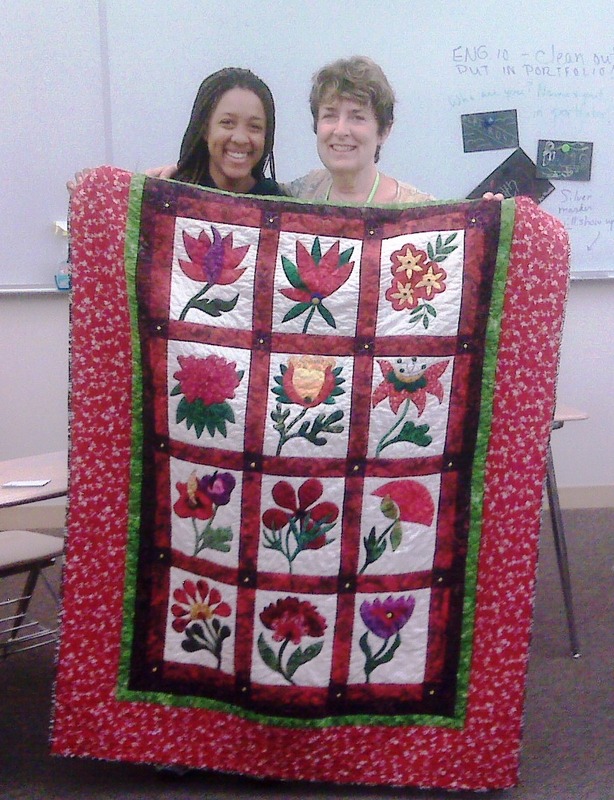 When your 10th grader comes home and says her English teacher “needs” a quilt, you have to go with that. India and I chose to allow Ms. Ann Swartz to adopt A Garden of Strength and Beauty because it just seemed to suit her. Ms. Swartz is a gardener, a survivor of breast cancer, and was going through some personal challenges, according to India. This quilt always made me smile. Hopefully, it will make her smile too. P.S. It was also a great way to say thank you for making my daughter love English. This entry was posted in A Quilter's Life, Quiltmaker's Daughter. Bookmark the permalink.